This bullying prevention classroom lesson helps students realize that choosing dark company is a snore. Why hang out with dreary people? Positivity is so much more fun! This lesson plan was created to wrap around our Scary Guy anti bully song which is available as a freebie in our store. 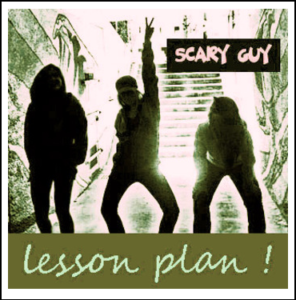 Although our song “Scary Guy” has a proven record of appealing to all ages, our lesson plan is geared for classrooms grades 4-6. BE THE FIRST to know about my new discounts, freebies and product launches: Look for the GREEN STAR near the top of any page within my store and click it to become a follower! You will then receive customized email updates about this store.